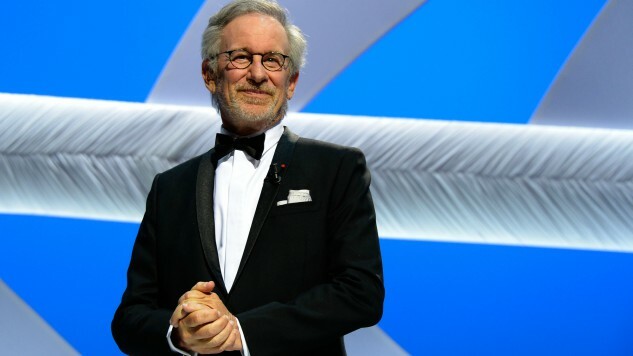 As if Steven Spielberg needed to add any more accomplishments to his impressive resume and career, he now has become the first director to hit 11 figures in total box office gross by crossing over the $10 billion dollar mark, according to The Independent. Spielberg’s latest film Ready Player One, which stars Tye Sheridan and Olivia Cooke, has pushed him over the milestone. The film has grossed $114 million to date domestically, thus placing his total gross value at $10.4 billion when adjusting for inflation. Spielberg’s top-grossing films begin with E.T. : The Extraterrestrial and follow with Jurassic Park, Indiana Jones and the Kingdom of the Crystal Skull, Jaws and Raiders of the Lost Ark rounding out the top five for lifetime gross, according to Box Office Mojo. His next five are War of the Worlds, The Lost World: Jurassic Park, Saving Private Ryan, Indiana Jones and the Last Crusade and Lincoln. Currently, Ready Player One sits at number 17 of his top-grossing films, just behind Hook and Minority Report. It’s most likely going to pass those two domestically by the end of its theatrical run. For total box office among Spielberg’s films, including both domestic and international gross, Jurassic Park leads with Indiana Jones and the Kingdom of the Crystal Skull, E.T. : The Extraterrestrial, The Lost World: Jurassic Park and War of the Worlds following to make up the top five spots. With two Academy Awards for Best Director, Spielberg has a total net worth (according to Forbes) of $3.6 billion. The director will unlikely lose his record-breaking box office grossing numbers any time soon, since the number two spot is held by Peter Jackson with $6.52 billion total. Michael Bay comes in third with $6.414 billion, with James Cameron, David Yates and Christopher Nolan following at $6.138 billion, $5.346 billion and $4.749 billion, respectively. Robert Zemeckis arrives in seventh place at $4.243 billion with Tim Burton, Chris Columbus and Ridley Scott at $4.075 billion, $4.060 billion and $3.923 billion, respectively, taking the last three spots. No female directors grace the top ten list as highest-grossing directors but that could potentially change soon, considering current trends in the industry. Nancy Meyers sits as the highest-grossing solo female director (not including the Wachowskis, trans women who made most of their top-grossing films before transitioning). Patty Jenkins could very easily make the list, depending on her forthcoming features, since Wonder Woman grossed just over $800 million worldwide. Read our Ready Player One review here.